As you walk round your supermarket, do you pause by the burgers, pick them up, put them back and go in search of something healthier? In a restaurant do you order a vegetarian dish though you would secretly prefer steak? It seems that eating meat, once an innocent pleasure, has become a guilty one. First came the annual Veganuary campaign, which saw 100,000 Britons ditch animal products as a New Year health-kick. Then last week, leading scientists urged us all to slash meat consumption in order to save the planet from the current health and environmental crises. NHS guidelines suggest limiting red and processed meat to 90g (uncooked) or 70g (cooked) weight a day, which is roughly two rashers of bacon, one-and-a-half sausages, or half an 8oz steak. 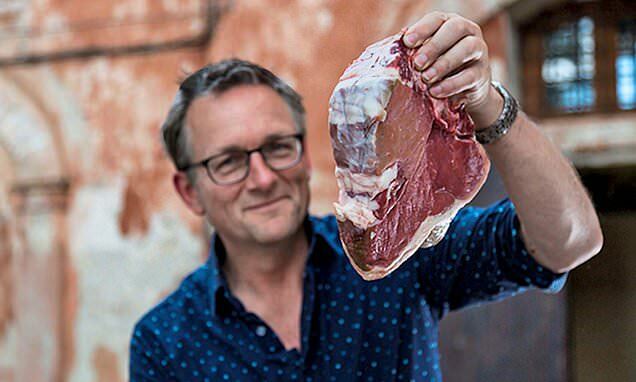 But writing in The Lancet, the authors of the new ‘planetary health diet’ encouraged people to eat red meat no more than once a week, and no more than (roughly) 90g a week. So forget that extra half a sausage, while eggs should be limited to about one a week, and you’d be allowed about one chicken breast a week too. High red meat consumption – particularly processed and cooked meats – has been linked to heart disease, bowel cancer and a shorter life. But these new recommendations seem draconian. The health benefits of red meat are rarely reported. But make no mistake, there are plenty. Not only is meat a good source of protein that is easily absorbed by the body, but it is abundant in important micronutrients too.